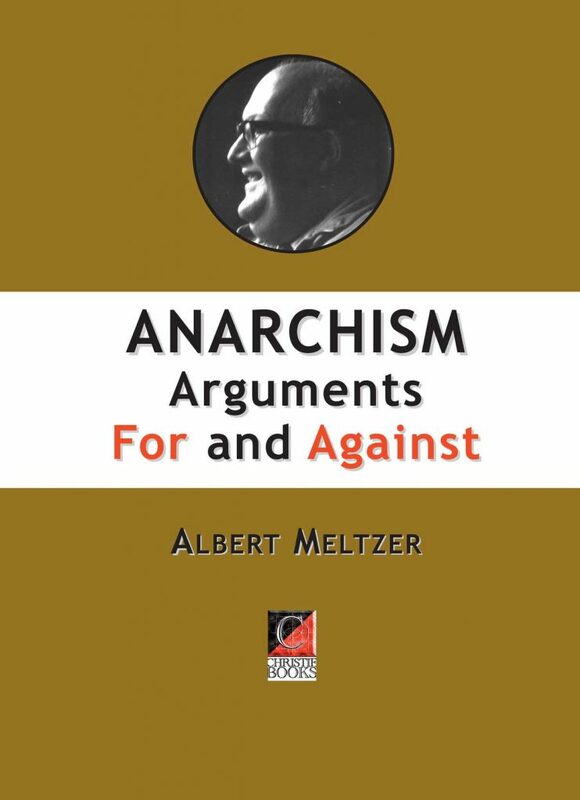 This is the revised edition of Anarchism: Arguments For and Against that Albert Meltzer was working on at the time of his death on May 7th, 1996. The book was important to Albert, and it was one whose arguments he returned to often in his other writings. Albert had become increasingly concerned about what he saw as the ghettoisation of anarchism. Separated from the working class base so necessary to achieve social revolution, anarchism could easily fall into the twin traps of philosophical radicalism or revolutionary arrogance — the “we’re more militant than anyone else” approach. Both strands have manifested themselves in British anarchism together with a sometimes demoralising and destructive incestuous approach to revolutionary change. Anarchists tend to talk only to other anarchists and are unable to relate to the majority of people who do not share their ideas and see anarchism as a rather exotic or illogical idea. This was Albert’s attempt to examine and counter arguments people may have about anarchism. He examines the basic tenets of anarchist thought and practice and challenges some of the myths about anarchist theory and action— a vade mecum for those who hope to win over sceptics to anarchist ideas and break down the walls of the ghetto in which anarchism has been contained for many years.